On October 30, Apple CEO Tim Cook took the stage at the Brooklyn Academy of Music to unveil the tech giant’s new and improved iPad Pro tablet. The latest iPad Pro for the first time features the desktop engine of AutoCAD, with pro-users being able to create, edit, and view drawings directly on the mobile device. According to Marcus O’Brien, senior product line manager for AutoCAD, the new application required the team to “rearchitect” the entire core engine. What has this achieved? There is now a single engine powering AutoCAD across desktop, web, and mobile platforms, allowing the highest possible fidelity for members of the AEC industry to move DWG files from one device to the next. This is not the first collaboration with Autodesk for Apple’s mobile devices. 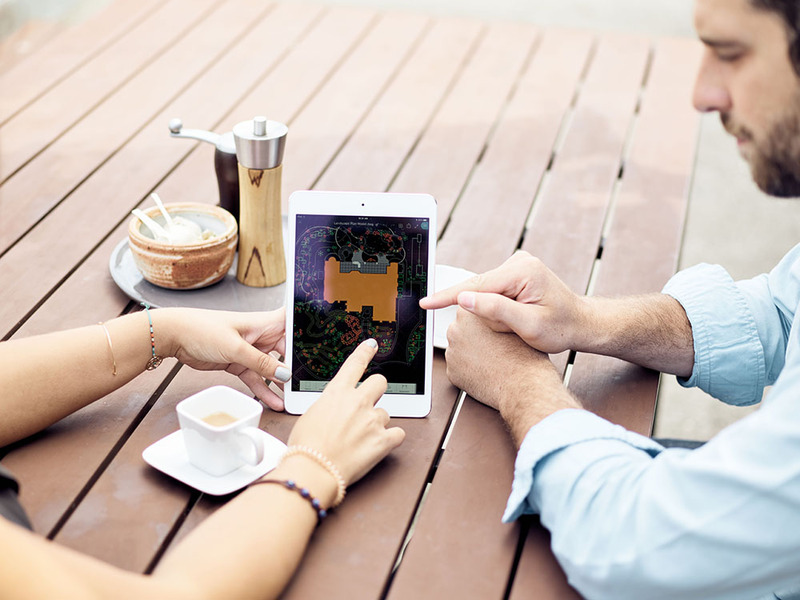 AutoCAD 360 Mobile was used for the iPad Pro’s initial launch in 2015. While this was a great first step for drawing and other simpler tasks on the go, the AutoCAD team wanted to provide best-in-class data fidelity for their customers on the mobile platform. The new AutoCAD mobile app works seamlessly with the Apple Pencil stylus. Freehand sketches are translated into AutoCAD objects instantly. The Pencil puts CAD tools directly in the user’s hands allowing them to edit, add notes, and dimension drawings freehand. Updates are easily shared with team members using earlier versions of the software such as AutoCAD LT. The app also allows for file management and syncing with Autodesk data management solutions as well as external cloud storage devices. The newly launched tablet is completely redesigned with a Liquid Retina display and face recognition for the first time. It also sports some impressive computing power. Utilizing the powerful new A12X Bionic chip, it is able to run five trillion operations a second and even enables advanced machine learning. In fact, it is faster than most laptops and has twice the graphics speed of earlier versions, making it perfect for augmented reality and immersive gaming. The USB-C connection provides high-performance connections to a variety of accessories including exterior displays and cameras. With that type of computing power and ease of use, the new iPad Pro can handle even the heaviest of rendering files and the most challenging of digital and graphic computing needs. Presales of both the 11- and 12.9-inch display version start today and they will be available November 7 with prices starting at $799 and $999 respectively.